As mobile and ubiquitous applications become increasingly complex and tightly interwoven into the fabric of everyday life it becomes more important to study them in real contexts. This paper presents a conceptual framework for remote and autonomous studies in the field and two practical tools to facilitate such studies. RECON is a remote controlled data capture tool that runs autonomously on personal mobile devices. It utilizes the sensing and processing power of the devices to capture contextual information together with general usage and application specific interaction data. GREATDANE is a tool for exploration and automated analysis of such rich datasets. The presented approach addresses some key issues of existing methods for studying applications in situ, namely cost, scalability and obtrusiveness to the user experience. 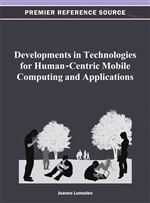 Examples and experiences are given from remote and autonomous studies of two mobile and ubiquitous applications where the method and tools have been used. As mobile and ubiquitous applications become increasingly complex and tightly interwoven into the fabric of everyday life it becomes more important to study them in real contexts. While facing the constraints of running on mobile devices with small form factors, small screens and limited input, the applications are also subject to the challenges arising from mobility and a range of dynamic environments and situations of use (Gorlenko & Merrick, 2003). They are often sensitive or even dependent on the context in which they are used. Thus, context will in many cases be an important factor to consider when studying the interaction with such applications. For some applications the user experience changes over time due to habituation, learning or personalization. Because of the situational nature of how these applications are used it has become increasingly important to take them out the controlled settings in which they are developed and study them in real contexts. Although the importance of context is commonly agreed upon, the exact meaning of the word as a concept is less clear. Throughout the literature many views have been expressed on what “context” is and how it can be used for computing purposes, such as (Dey, 2001; Dourish, 2004; Schmidt, Beigl, & Gellersen, 1999). Because the main focus of this paper is the study of applications and their use in real contexts the following definition will be used: Context is the sum of relevant factors that characterize the situation of a user and an application, where relevancy implies that these factors have significant impact on the user’s experience when interacting with that application in that situation. This definition of context reflects the perspective of the evaluators of applications who are interested in the user experience. This is somewhat different from the more used perspective of those applications being context-aware, as discussed by Dey (2001). Examples of factors that can potentially impact the user experience of applications are: location, physical environment aspects such as lighting conditions and background noise, mobility and activity of the user, social setting, availability of computing resources and network conditions. “Capturing context” in this paper refers to capturing information about the abovementioned factors; while acknowledging that such information may never be complete or even entirely correct. The focus is on contextual factors that can be sensed, processed and captured digitally. Contextual information can be considered at various levels of abstraction ranging from raw sensor data like accelerometer readings to high level concepts like user activity. Often it is the higher level representations that are of interest to the evaluators. Taxonomies have been proposed representing such contextual data e.g. (Schmidt et al, 1999); however, Dourish (2004) argues that treating context like a representational problem might not be realistic since it is not a static concept that can be neatly captured, modeled and represented. Due to the dynamic nature of context a factor may be relevant in one instant of time and irrelevant the next, just as the significance to the user experience may change depending on the situation. It will be up to the individual evaluators to specify what is of relevance for their specific studies. Due to the conceptual fuzziness of context, it makes sense to talk about capturing traces of context. The captured information is not a complete record of how it was, but rather a trace giving evidence to how it might have been. Capturing user interaction together with traces of the context in real life settings produces reality traces: information about what happened and how it happened. Such data can form the basis for a broad range of studies aiming at investigating usability and user experience of mobile and ubiquitous applications in situ. Obtaining and analyzing such rich datasets is the goal of remote and autonomous field studies. Essentially reality traces can be seen as log files augmented with contextual information about the situation in which the interaction occurred. In other words, capturing reality traces is like taking the fingerprints that reality leaves on the mobile device, and analyzing them is the detective work of piecing together what it really happened.